So you wonder if that part that just broke is covered under your warranty? Here is a scenario, you take your car down to the local big dealer and they take a look at it and guess what, they want an arm and leg to fix it and not just that part but hey they found something else wrong and it means more money out of your pocket. Well before you do that, take your vehicle to Elkhart Mechanics and they will treat you right. They will only fix what is wrong or what is covered under warranty. They won’t suddenly find other things wrong and charge you extra when you only needed something simple fixed. You won’t get taken advantage of at Elkhart Mechanics. In the first few years after a car is made, a warranty can make it much less expensive to repair the car. A warranty is a policy that certain parts of the can be replaced free of charge if they malfunction within a certain number of miles or within a certain amount of time after manufacture. Your car’s owner’s manual contains details about which repairs are and are not covered under the warranty. Some warranties require that you perform certain types of routine maintenance, such as oil changes and tire rotations, at least every certain number of miles in order for the warranty to remain valid. Be sure to read to car’s warranty policy carefully so that you know which repairs are covered. Elkhart Mechanics has a policy of only making repairs and replacing parts with the customer’s consent, so it is fine if you only want us to make the repairs that your car’s warranty covers. Do not let your car dealer tell you that repairs have to be done at the dealership in order for the warranty to remain valid. The Magnuson Moss Warranty Act of 1975 specifies that maintenance done by mechanics not affiliated with the dealership does not void the warranty, and neither does doing the maintenance yourself. 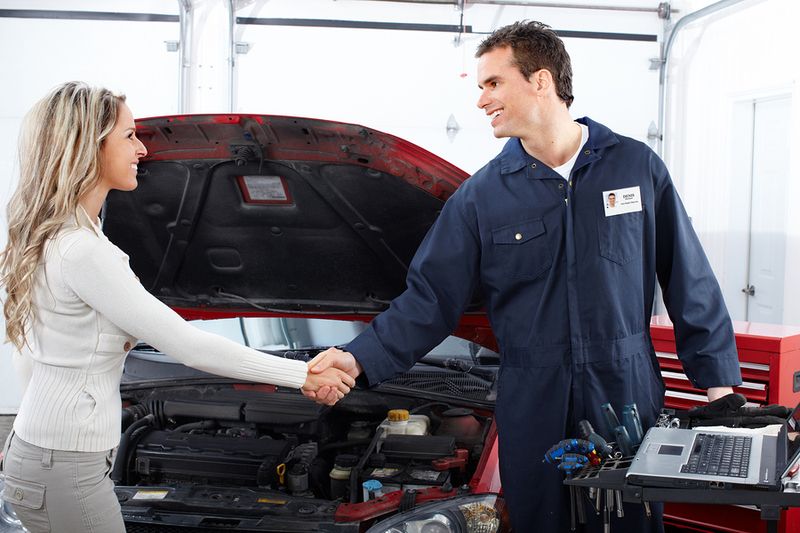 Warranties do not, however, cover replacement of parts damaged by mistakes on the part of the person doing the repair, which is why it is best to bring your car to our garage instead of attempting to do any maintenance to your car on your own, unless it is a type of maintenance you are very comfortable doing. At Elkhart Mechanics, our aim is not to look for problems that don’t exist just to talk you into more repairs. We are here to make sure that you get the most out of your warranty and your vehicle.